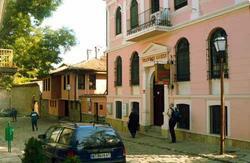 Raisky Kat Hostel is conveniently located in the historical Old Town of Plovdiv, Bulgaria. The hostel is in a very quiet, peaceful and safe area of the city and is surrounded by gift shops, restaurants, cafes, museums, the Roman amphitheatre and ruins, and a fruit market. The Hostel has five rooms with eleven beds in total, four of the rooms have two twin beds each and the fifth has three beds and functions as a mixed dorm. One of the bedrooms has a double bed with a private bath. There are two shared bathrooms for the remaining rooms. 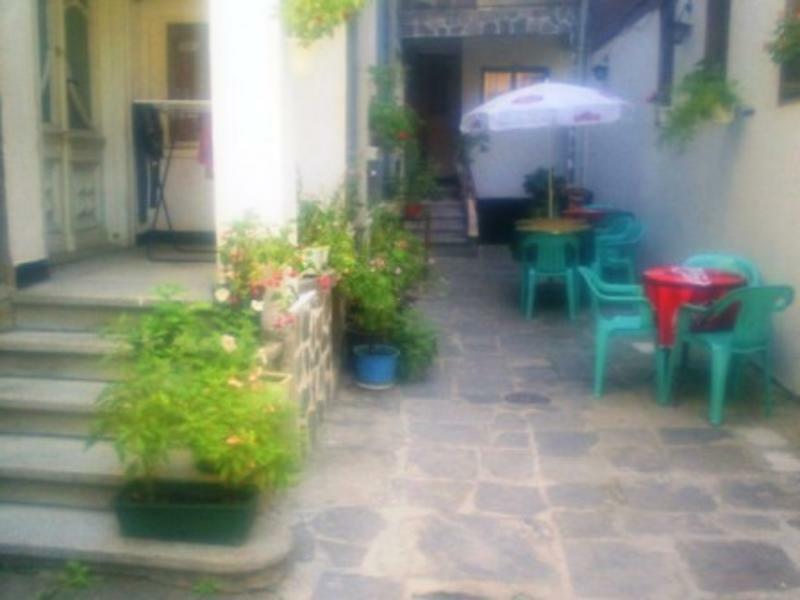 There is a quiet and shaded courtyard to enjoy your breakfast and coffee. The hostel is family owned and operated and our staff is fluent in English. They can offer advice also on tours and excursions in the region. 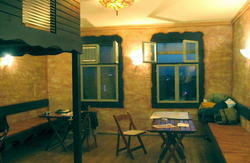 Raisky Kat Hostel is not far from the central train station and bus depot. The easiest way to arrive at the hostel is to ask a taxi to take you to the Ponedelnik Pazar (Monday Market) which is 100 meters south of the hostel or simply show them the address. You should use caution when taking a taxi that is parked outside the bus or train station as these usually overcharge their customers. It is best to hail a moving taxi at these locations. The absolute maximum you should pay from these locations to the hostel is 3 leva or 1.5 euro. Or, from the main rail station you can take bus numbers 2, 20, 26, get off at the Central Post Office and walk east to the old town.